11.29.15 Things are moving right along! 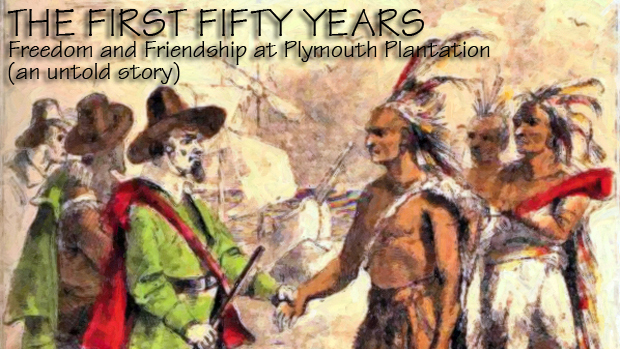 Our documentary film “James Phinney Baxter Vision Expanded: The First Fifty Years of Peace and Friendship at Plymouth Plantation” is slated to screen at the Boston Public Library in the fall of 2016 to inaugurate the proposed James Phinney Baxter Lecture Series. Connie’s great-great grandfather James Phinney Baxter (1831-1921), pre-eminent New England historian and philanthropist, had a grand vision for humanity. He saw that the core ideas expressed in The Mayflower Compact, written in the cabin of the Mayflower before landing in 1620, of a “civil body politic [formed] to enact, constitute, and frame just and equal laws for the general Good” and other principles and ideals of the early settlers of New England were foundational “to develop a form of government in which the best aspirations of men could find free play.“ He proposed that America could be an “inspiration to the world if we are able to live up to the ideals of our forefathers*“ which he believed are the “self-evident truths of the human mind. ”James Phinney Baxter was president of the New England Historic Genealogic Society for 20 years and gifted money to the City of Boston to build a “New England Pantheon to honor the early settlers of New England whose ideals were the seed of free government.” The Baxter Project Team is expanding his vision to include the American Indian in its proper place in the evolution of American democracy and the American mind and spirit during the first fifty-four years of peace and friendship at Plymouth Plantation. Connie’s Letter to the Editor “A Time of Synthesis” was printed in the Old Colony Memorial on November 21. Here is a link to the online version: http://bit.ly/CBMPlymouthThxLetter2015. She has been writing an uplifting Thanksgiving Letter to the Editor here in Plymouth for over 10 years as an integral part of the research and relationship-building process we have dedicated to this perspective which brings balance to this important and inspiring origin story of The United States. In 2008 we were leaders of a project with the Sedona, AZ Middle School which asked the question: What can we learn from 50 years of peaceful coexistence between the Pilgrims and the Wampanoag Indians that we can directly apply to bring together the diverse cultures at our school? The inspired students presented their experiences and findings to The Massachusetts Historical Society and the Plymouth Board of Selectmen with the Sedona School/Plymouth Challenge. 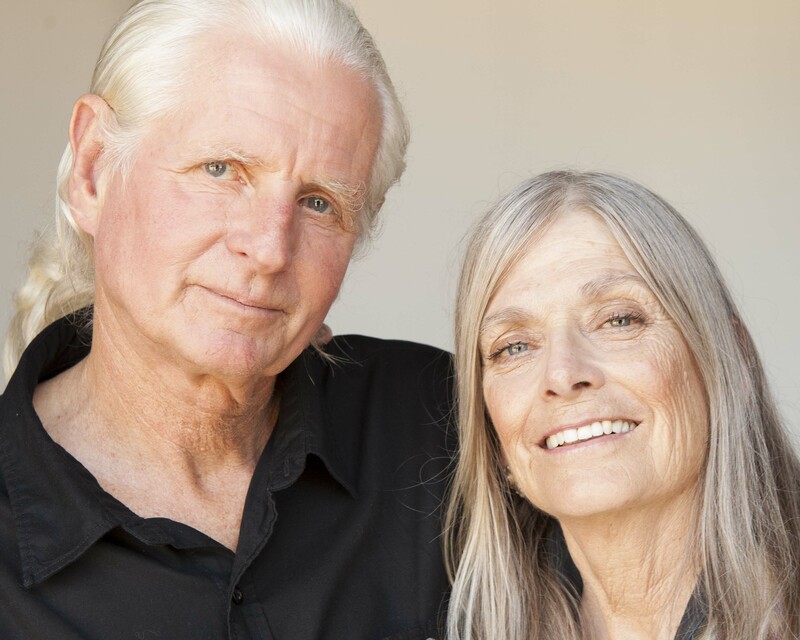 We have spent decades with visionary indigenous elders throughout the world and have been bringing the Native American/Indigenous way of knowing/cosmology into the mainstream for over 20 years by creating forums for these elders and others to share their understanding of the nature of the universe through books, films and photography exhibitions as a way to align with what we call “the conscious loving universe” and bring Peace on Earth. Our book “THE TRUST FREQUENCY: Ten Assumptions for a New Paradigm” is a handbook to higher consciousness on the “High Road to Happiness.” The Ten Assumptions are a unique synthesis of indigenous cosmology, quantum science and Eastern and Western mysticism. The book is a companion piece to our film “IN SEARCH OF THE FUTURE: What do the Wise Ones Know? Watch it online HERE. The First Fifty Years project is a practical application of the concepts found in our book “THE TRUST FREQUENCY” and film “IN SEARCH OF THE FUTURE”, using The First Fifty Years as a model for how we can apply inspiration and trust in our own lives today and bring the true American dream to fruition: Freedom, justice and abundance for all! 2013: Wow, it is happening! Our Indiegogo crowd-funding campaign is gathering steam. We have raised $10,000 of our $15,000 goal! We have received a $7,500 contribution independently of Indiegogo. Click the Logo to go directly to the FIRST FIFTY YEARS Campaign. There’s still time to support this important healing project. An anonymous donor has offered to pay for updating our video production system. That is huge! Thank you! Andrew Cameron Bailey and Connie Baxter Marlow. Photo: MarlowPhotography.com, Los Angeles. to catch up on breaking news concerning our film IN SEARCH OF THE FUTURE, our book THE TRUST FREQUENCY and our latest film/book project THE FIRST FIFTY YEARS. Happy, Healthy New Year! THE FIRST FIFTY YEARS: Our challenging new film/book project.